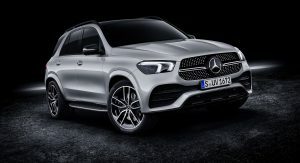 Mercedes has announced the UK pricing and range details of the all-new GLE, which is set to arrive in Britain this upcoming spring. 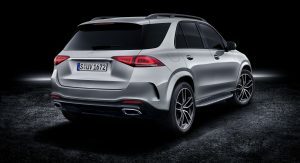 Customers wishing to be among the first to own the new Mercedes SUV will have to choose between the GLE 300d and the GLE 450 models, priced from £55,685 ($70,958) and from £62,300 ($79,387) respectively. 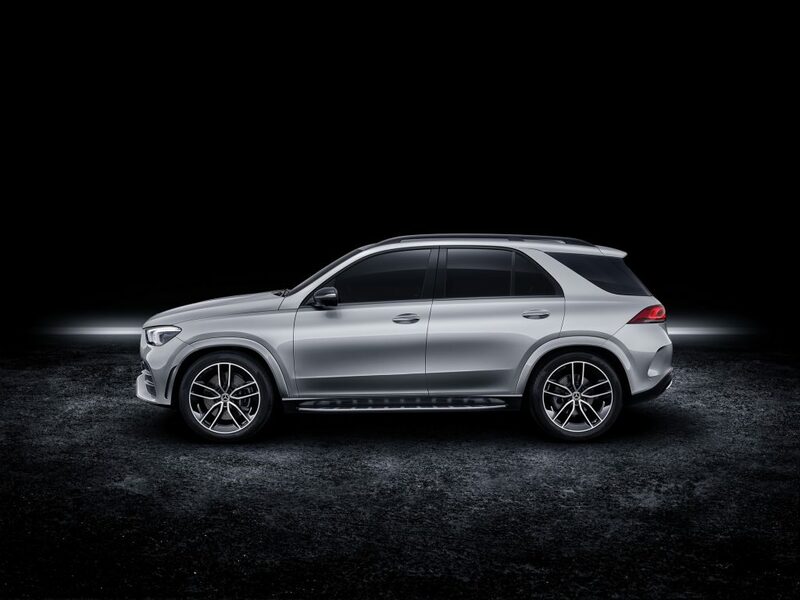 The diesel-powered GLE 300d uses a 2.0-liter four-cylinder engine with 241hp (245PS) and 368lb-ft (500Nm) of torque. Mercedes claims a 0-62mph (100km/h) time of 7.2 seconds and a top speed of 140mph (225 km/h), while fuel economy is rated at a combined 46.3 mpg UK (6.1 l/100km) and CO2 emissions are 162g/km. The petrol-powered GLE 450 features a mild-hybrid powertrain that combines a 3.0-liter six-cylinder petrol engine with EQ boost. 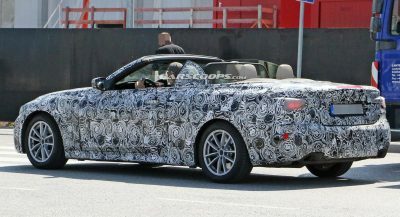 The result is an output of 362hp (367PS) and 368lb-ft (500Nm) of torque. 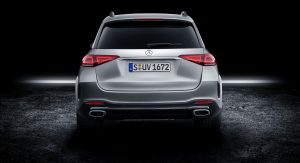 Meanwhile, 0-62mph (100km/h) comes in 5.7 seconds, and flat out, the GLE 450 will hit 155mph (250 km/h). Fuel economy is rated at a combined 33.6mpg UK (8.4 l/100km) and the CO2 emissions are 191g/km. The all-new GLE will come with a seven-seat configuration, set to be offered as standard in the GLE 450 model. Other standard features of the petrol version include an Airmatic air suspension, electrically adjustable rear seats and an automatic four-zone climate control system. 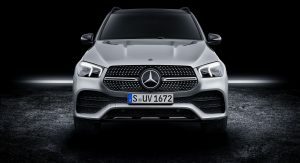 All variants of the new Mercedes GLE also get a set of 12.3-inch digital displays for the dashboard, the latest MBUX infotainment system with the ‘Hey Mercedes’ voice activation, Nappa leather, Blind Spot Assist, 20-inch AMG alloy wheels, anthracite open-poar oak wood trim and more. 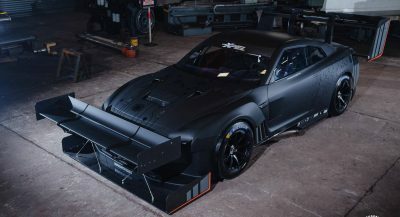 Customers will also be offered a selection of option packages; the £1,995 ($2,542) Premium package features Multibeam LEDs, wireless charging and a parking assistant with a 360-degree camera. The Premium Plus Package adds a Burmester surround audio system, a cabin fragrance and filter system, keyless-go and a panoramic sunroof for £4,295 ($5,473). There’s also an £1,695 ($2,160) Off-road package that can be added to the GLE 450, offering additional off-road driving modes, downhill speed regulation and underbody protection for the full length of the vehicle. 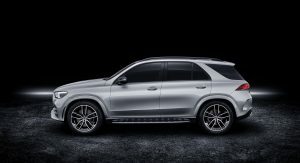 Order books for the new 2019 Mercedes GLE have now opened in the UK.